Bluff The Listener Our panelists read three stories about a news outlet that went above and beyond to get to the bottom of a story, only one of which is true. Our panelists read three stories about a news outlet that went above and beyond to get to the bottom of a story, only one of which is true. Right now, it is time for the WAIT WAIT... DON'T TELL ME Bluff The Listener game. Call 1-888-WAIT-WAIT to play our game on the air. Hi, you are on WAIT WAIT... DON'T TELL ME. LOUIS LEWOW: Hi. This is Louis Lewow from Johns Creek, Ga.
SAGAL: Oh, OK. And what do you do there? LEWOW: I'm a - interestingly enough - I'm a broadcasting consultant. I work with up-and-coming TV digital networks - like distribution and monetization. 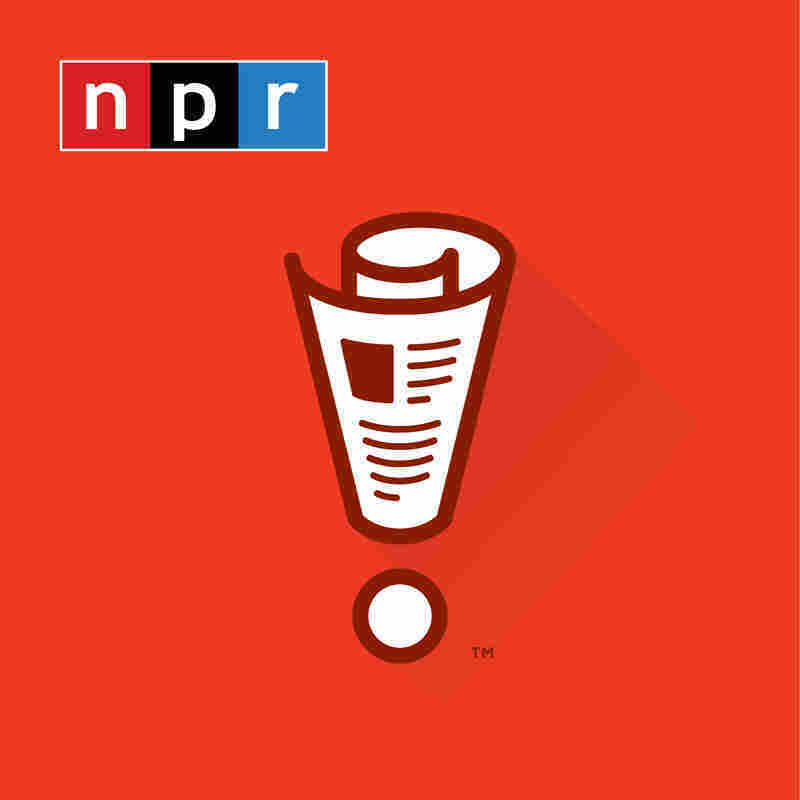 SAGAL: Monetization - we're in public radio. What is that? SAGAL: Well, welcome to the show, Louis. You're gonna play the game in which you must try to tell truth from fiction. Bill, what is Louis' topic? BILL KURTIS: Democracy dies in darkness. SAGAL: People say journalism is in bad shape. It's like one of those dumpy schmoes on "Queer Eye" before the Fab Five show up. But this week, we read a story that proved investigative reporting is alive and well. This week, a news outlet went above and beyond to get to the bottom of a story. Our panelists are going to tell you about it. If you pick the real one, you'll win our prize - the voice from our show of your choice on your voicemail. You ready to play? SAGAL: All right. First, let's hear from Miss Helen Hong. HELEN HONG: Taking the Internet by storm this summer has been the adorable - albeit deceitful - What The Fluff challenge where dog owners hold up a blanket to hide themselves from their four-legged companions then duck around a corner, drop the blanket and appear to vanish into thin air. Dogs' reactions have varied from blase nonchalance to abject panic - with some dogs violently attacking the blanket, which they think has eaten their owners. But what impact is this rude ruse having on dogs' collective psyches? The investigative team at the Pine Corner Sentinel in Pine Corners, Ala., is on the case. The newspaper's one-and-only investigative reporter Judd Spaniel (ph) said he was spurred to action when he watched a video of a perturbed labradoodle go absolutely bonkers upon his owner's disappearance behind a blanket. Mr. Spaniel was working with the American Association of Canine Psychic Alignment and Well-Being, which admittedly is just one woman in Wayne, Neb., who has office hours on Tuesdays. The two are drafting a questionnaire to be given to dogs on a national scale with answers to be tracked on a scale from wolf to bow-wow-wow. Results are forthcoming. And hopefully, we'll be all right. KURTIS: An investigation into the psychic scars of the What The Fluff challenge - your next story of an investigation in the news this week comes from Alonzo Bodden. ALONZO BODDEN: Free T-shirts fired into the crowd by an air gun - no one thought it could be dangerous. But then a fan was hit by one at an Erie, Pa., Yellow Jackets game. A T-shirt across the eye led to a scratched cornea. This accident got Sports Illustrated reporter Ilya Anderson (ph) curious. Minor league teams are known for their promotions. Are they ever dangerous? I did a three-month investigation, says Ilya, and I was startled at the results. Dozens of fans have been injured during these promotions. BODDEN: ...Was just a bad idea. KURTIS: An investigation into the danger of minor league promotions - the last story of a modern-day Woodstein comes from Mo Rocca. MO ROCCA: Insecurity over the state of the special relationship between the United Kingdom and the United States is forcing some in hard news to ask tough questions. The latest from Washington DC's WTOP all-news radio - that question? Has Prince William, future king of England, ever eaten a hot dog? A fierce newsroom debate over the issue was sparked by the recent christening of Prince Louis. Reporter John Domen noted that a christening in the U.S. is often celebrated with a simple cookout. Editor Abigail Constantino guessed that the royals had probably never even attended a cookout. But grilled food historians were quick to point out that in 1939 King George VI and Queen Elizabeth, also known as the queen mother, attended a picnic at Franklin and Eleanor Roosevelt's Hyde Park. Confronted with a hot dog, the queen expressed confusion. Roosevelt allegedly told her, it's very simple. Put it into your mouth and keep pushing until it is all gone. ROCCA: What about Prince William? Quote, "I can't find anything to suggest Prince William has ever eaten a hot dog in public," said Charlie Proctor, the editor-in-chief of Royal Central - adding, this is the strangest question we have received today. SAGAL: All right. So somewhere in America, a reporter dug into a story. Was it from Helen Hong - the question of what does the What The Fluff challenge do to a dog's mind - from Alonzo - how dangerous are minor league sports promotions? - or from Mo - did Prince William of England ever have a hot dog? LEWOW: Well, I think it's Mo. I think it's number three. SAGAL: OK, your choice is Mo's story. To bring you the correct answer, we spoke to the reporter tracking down this story. PATRICK ROTH: The main goal was to determine whether or not Prince William, the Duke of Cambridge, third in line to the crown, has ever had a hot dog. SAGAL: That was Patrick Roth. He's a WTOP lead investigator and author of the piece "Has Prince William Ever Eaten Hot Dog: An Investigation." Congratulations, Louis. You've got it right. LEWOW: Thank you. Thank you very much. SAGAL: You've won our price - the voice of anyone you'd like on your voicemail. And, of course, you also won a point for Mo for simply being honest. Thank you so much for playing, Louis.